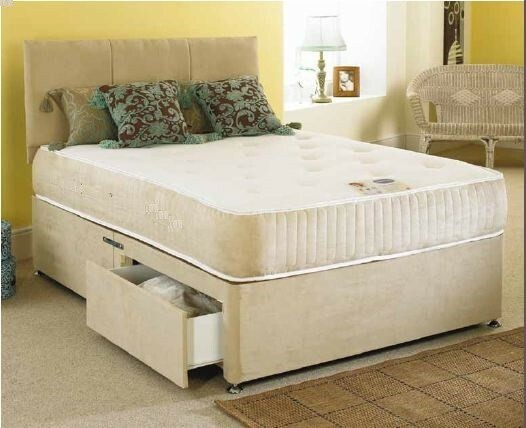 The Revive 4ft 6in 1500 Pocket Sprung Memory Foam Double Divan Bed in Stone Colour Faux Suede comes with a 1500 Pocket Sprung Memory Foam luxury Mattress. It is constructed around a 1500 count pocket spring unit, (in a 5ft King Size Mattress), with ultra-supportive layers of 50mm high density visco elastic Memory foam sleep surface to distribute pressure and to provide ultimate comfort and support. The Mattress side panels and Base are upholstered in luxury a Stone Faux Suede fabric.